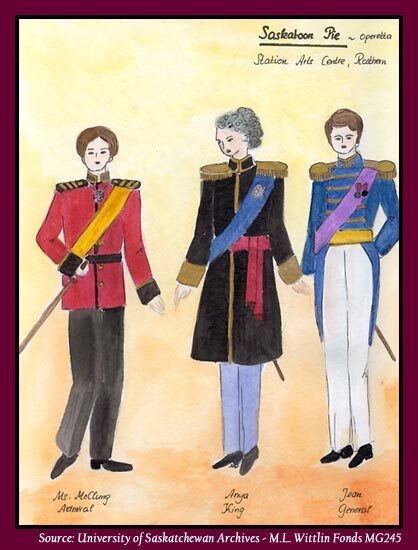 “Men's” costume designs by Marie-Louise Wittlin for Saskatoon Pie! production at Rosthern's Station Arts Centre. 1999.